The big four accounting firms are massive and employ staff all over the world. With concentrations of offices in the United States, UK, and Netherlands. These accounting firms specialize in audit, tax, financial planning, and advisory services. The differences between these firms are in their size, locations, and who they have merged with. These firms grow when they acquire of merge with other firms. Which happens frequently. Free Bonus: Download the free checklist – How to become a Big 4 Accountant in 10 steps. 1.5 What’s Ahead for The Big Four? 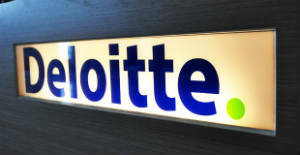 Over the years Deloitte has acquisitioned and merged with several other firms to become the top accounting firm in the world. They have hundreds of locations throughout the world including the United States, UK, Belgium, Ethiopia, and several others. Deloitte owns several subsidiaries which allows them to offer greater employment opportunities, as well as focus on areas that they would not be able to otherwise. They have climbed their way up the ladder with hard work, dedication, and a great commitment to both its employees and clients. In 2013 the firm reported an astonishing $32.4 billion in revenue, the company has continued to grow over the past four years, even with the recession. Their approximate annual growth for 2012 was 8%, which is the highest out of the big four accounting firms. They have maintained this growth rate over the past four years. The strategy that they are using seems to be working much better than those of their top competitors. Their biggest competitor is PwC who continually competes with them for top spot. 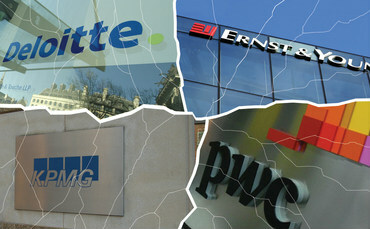 PwC (PricewaterhouseCoopers) has long been a member of the Big 4, second only to Deloitte. The firm has continued to grow over the years, acquiring and merging with other company’s such as Booz & Co., leading them to become one of the biggest firms in the world. 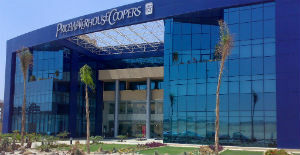 They have more than 750 offices located throughout the world including, the UK, United States, South Africa, and India. Because the firm has so many locations, they are able to offer a plethora of employment opportunities to professionals across the world. PwC has climbed the latter using determination, skill, and hard work; not to mention several acquisitions and mergers over the years. In 2013 the firm had a revenue of $32.1 billion and a growth rate of 4%, while these numbers are fantastic, they aren’t the best the company has done in the past four years. In 2012 they reported an 8% growth rate for the fiscal year. Even with lower numbers for 2013, the firm is still on top and still growing. 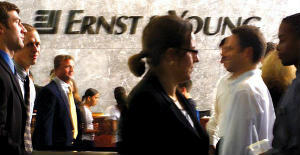 Ernst & Young have been around for a very long time and currently owns two subsidiaries. They are located throughout the world with more than 700 offices in the United States, UK, India, Japan and several other countries. In 2013 the firm reported their revenue at $25.8 billion and an annual growth rate of 5.8%. This is the highest growth rate the company has seen over the past 5 years. This is up from a 1.4% growth rate in 2012. Although they have continued to grow over the years and remain in the big 4, this jump was a welcome reprieve from previous years slow growth rates and lower revenues. The company’s most recent merger was with KPMG’s Denmark division which will allow both firms to continue to grow and offer more services and locations in the area. The merger of these two companies could be a great increase in both revenue and growth in their Denmark divisions. With last year’s spike in growth and revenue, the future looks bright for Ernst & Young and hopefully it is tell of better things to come. This past year they got into global mining and metals which could bring the much sought after growth they are hoping and planning for. 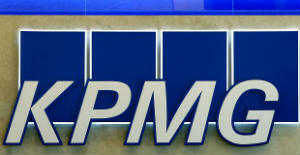 KPMG has been in the news lately as their Denmark operations have merged with those of Ernst & Young in the same area. The merger will allow the company to offer more services to those in the area. This merger will help the company grown significantly. The firm currently has more than 650 offices in place such as the UK, United States, Netherlands, and many more. They have successfully grown to be part of the Big 4 through hard work, dedication, and several acquisitions and mergers. Because they are located in so many places, and now with the Denmark merger, they are able to offer a wide variety of career paths for current and future employees. In 2013 they reported an annual revenue of $23.42 billion, and a growth rate of 1.4%. These numbers are down from 2012 when their growth rate was 2.1%. Although their growth rate is the lowest in the top four, they are still growing, merging, acquiring other firms, and taking on new partners. 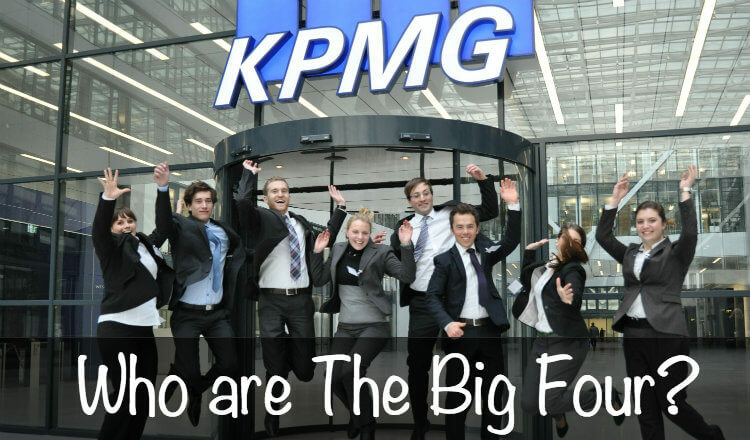 Although KPMG is ranked fourth on the current list of the top four accounting firms, it can at anytime. Ernst & Young and KPMG are so close in terms of size that some lists have KPMG number three and E&Y four. Either way, we can all agree that they are part of the big 4, and will be for a long time. In 2013 there were several mergers and acquisitions that brought higher revenues and growth rates to the big 4. The firms have all gone through a long and arduous journey to become as large as they are. Although all of the firms share common goals, each of them has a different strategy for meeting and/or exceeding those goals. They will most likely continue to grow and succeed, taking on more clients and creating more mergers and acquisitions. What’s Ahead for The Big Four? Looking ahead to the future for all four of these firms, things look bright. Although growth has been slow for some, the fact remains that they are continuously growing. The mergers and acquisitions that happened in 2013 will hopefully allow them more growth and higher revenue opportunities in the 2014 fiscal year. The big four accounting firms have been at the top for quite some time and will most likely remain there. All four companies report forecasts that suggest greater results in the years to come with increases in both revenue and overall growth rates. As with most firms in this business there are always mergers and other activities of the sort that allow the company to grow.